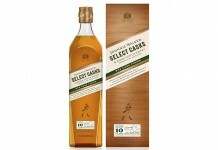 The trend to release single malt scotch whisky without an age statement is clearly on the rise. Between Diageo getting into the game with their Talisker Storm and Jim Beam refocusing Laphroaig on wood finishes, the era of age statements in whisky may be gradually coming to an end. Age statements have always been a real double edged sword: while age statements can assure a consumer that they are getting what they pay for, the age of a whisky isn’t always clearly equated with its quality. Older whisky isn’t always better whisky, and some malt whiskies lose some of their essential character as they pass a certain age. Caol Ila is a perfect example of this, with their 18 year old release representing a real magical moment in the maturation of their malt, while their 21 year old malt is far less magical. The rules for Scotch whisky dictate that the youngest whisky you can use in any release and still call it Scotch whisky is three years. Traditionally, whisky producers have focused on the sweet spot for single malt whisky, which is anywhere between 10 and 12 years. This doesn’t mean that a 10 year old whisky is at its prime, but around the 10 year mark in Scotland malt whisky goes from young and often unfocused to more mellow and complex. Also, Scotch whisky producers have often put their focus on the malt in the equation, with far less focus on the impact of the barrel. This grain focus has been so strong that Scotch whisky has often been considered one of the purest expressions of malt in the spirit world. Unfortunately, Scotch whisky producers have found some intense competition from American whiskey producers, who focus as much on the barrel as the base grain (which in their case is often corn or rye). While many Scotch whisky producers have used sherry butts/casks as a tool to add a wide range of flavors, it often isn’t the core focus of their offerings. The real “ah ha!” moment in this space from Scotch whisky producers seemed to come when Laphroaig released its Quarter Cask product. 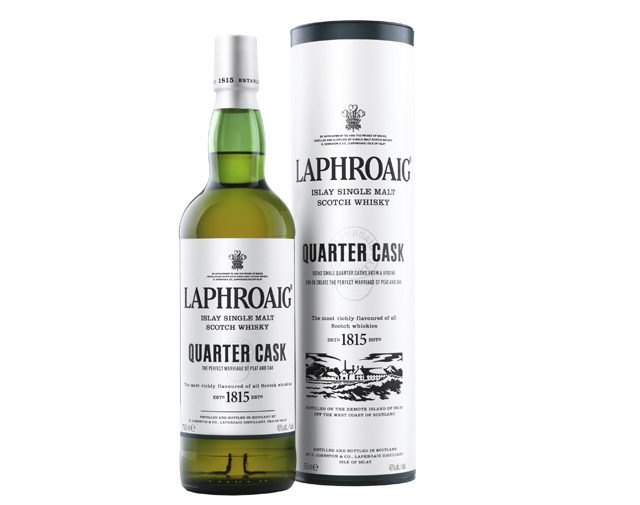 Laphroaig Quarter Cask (48% ABV / 96 proof, $54.99 non-chill filtered) is double cask aged, first in the traditional second fill (or used) bourbon barrel and then again in a smaller quarter-sized cask. The second barrel run gives the Laphroaig malt much more surface area contact with the wood barrel and therefore retains more of that barrel impact in the final whisky. Laphroaig has always been a hallmark Islay style whisky, but it was Quarter Cask which really helped blow the doors off the brand. The release was so successful, in just a few years it has grown to represent a whopping represents 25% of all Laphroaig’s case sales. The demand for Quarter Cask was so strong and unexpected that Laphroaig struggled to keep up with the demand, leading to some shortages with the product. Gold in color, the nose of Laphroaig’s Quarter Cask has the signature peat smokiness that Laphroaig is known for (often referred to as a “campfire in a glass”), but here it’s different from Laphroaig’s classic 10 year old whisky. With Quarter Cask, the smokiness is less ashy and slightly more diesel-y. There’s even a subtle rubbery note that’s reminiscent of the rubbery smoke you get with some mezcal. In addition to the smoke there’s oak, some salinity, and a vanilla/caramel note. The nose is very dry and slightly sharp, partly due to the higher alcohol levels with Quarter Cask than Laphroaig 10. The entry of Laphroaig Quarter Cask is a lot softer and sweeter than the nose would suggest, and a lot less strong than we expected from the proof. Laphroaig’s signature flavor notes are there right at the start with peat smoke, iodine, and salt, but it’s balanced out with sweet vanilla, caramel, a slight nuttiness, and a little oak. The smoke here is a little less campfire and, although strong, is a lot less ashy than the traditional Laphroaig 10. The flavors from the entry carry through pretty solidly in the midpalate where the smoky elements intensify and the sweeter notes from the opening begin to really dry out as the spice and tannin from the oak intensify. The finish is fairly long and extremely dry, leaving a subtle exhale of slightly ashy smoke at the end. 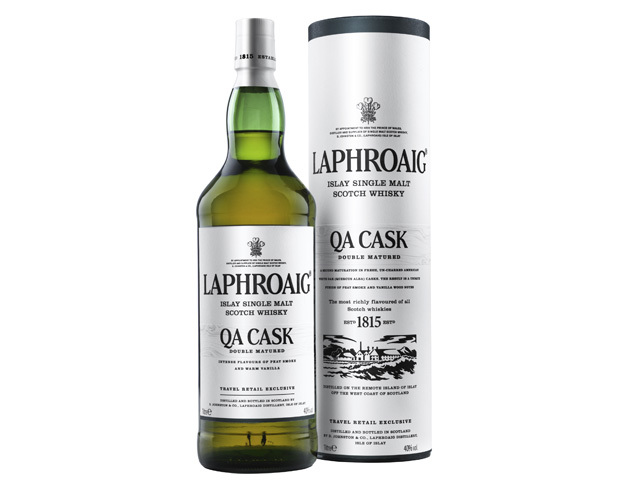 Laphroaig Quarter Cask presents a clearly different take on Laphroaig’s legendary flavor profile with a whisky that is nicely balanced, slightly restrained, and very dry. Laphroaig does a nice job integrating younger malt as an asset to the final product, rather than an element that needs to be worked around. The impact of the extra wood is unmistakeable and serves to make this a more affable whisky. Between the younger malt and the finishing barrel, we do lose a little bit of complexity that we enjoy with Laphroaig 10 year. It’s a sacrifice, but one which many whisky drinkers seem willing to make. 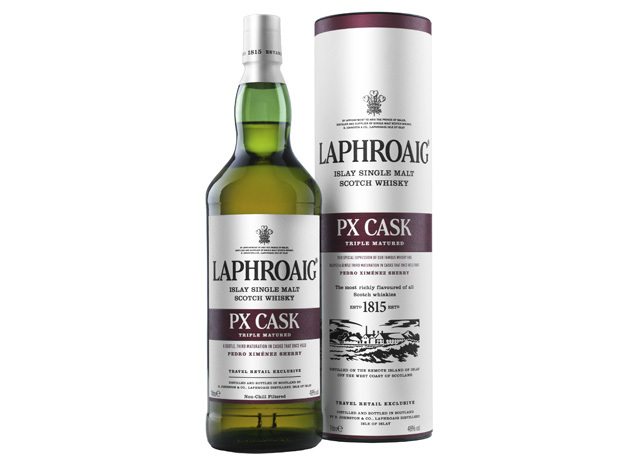 Laphroaig PX Cask (48% ABV / 96 proof, $90 per 1 Liter – Travel Retail Exclusive) – this special travel retail release is actually matured in three different woods: the initial ex-bourbon cask, the quarter American oak cask, and then finally in the prized Pedro Ximenez Cask. It’s interesting that Laphroaig would release the two different travel retail cask editions at different proofs and with such decidedly different character. Light amber in color, the PX Cask release is only slightly darker and a little bit redder in color than Laphroaig’s Quarter Cask Release. As with the Quarter Cask, the nose on the Laphroaig PX Cask is less smoky than Laphroaig 10 year. While there is clearly smoke on the nose, it’s mixed with the vanilla and caramel from the quarter cask, and a sweet black cherry and blackberry note from the Pedro Ximenez cask. The entry for Laphroaig PX Cask has many of the same sweet notes as the Quarter Cask including vanilla and caramel, but there’s also the dark fruit from the Pedro Ximenez along with a nicely balanced amount of peat smoke and iodine. In the midpalate Laphroaig PX Cask really comes alive with the addition of some really nice spice including cinnamon, clove, and black pepper. This spice is well balanced with the sweet dark fruit notes and an increasing smoky fire that greatly intensifies. The finish is long and flavorful lead by ashy peat fire, supported by spice, and combined with dark fruits. In the finish the Laphroaig PX Cask tips its hand, showing off a little bit of the young malt in the mix, but the flavor trifecta is so spot on, it’s easy to both forgive and ignore the flash of youth. The only real impact of the younger malt is at the end of the finish where it’s a little hot and uncharacteristically dry. It’s hard to believe that Laphroaig QA and PX Cask are part of the same line. Laphroaig PX Cask succeeds where Laphroaig QA fails: it manages to preserve Laphroaig’s essential DNA while bringing something new to the equation. The flavors imparted from the Pedro Ximenez Barrel, especially the spicier notes, really serve to complement the core Laphroaig notes, which are well balanced. Here many of the things that Quarter Cask brings to the table are enhanced by the final time this whisky spends in the Pedro Ximenez barrel. Perhaps if the QA cask had managed to pull in more of the American oak spice and less of the oily sweetness, it could have been on par with this delicious release. Laphroaig 2013 Cairdeas Release – Port Wood Edition (51.3% ABV / 102.6 proof, $74.99 – Special Release) – like Ardbeg does with their Ardbeg Committee releases, Laphroaig does an annual release to its most faithful fans. Laphroaig does this under the moniker Cairdeas which is the Gaelic word for friendship. Like travel retail, the Cairdeas releases are another space in which Laphroaig can experiment and try out new things. Also, like with their Travel Retail releases, this year’s Cairdeas reflects Laphroaig’s shift in focus to wood. Rosy amber in color, there’s absolutely no mistaking that this whisky has spent time in a port cask. 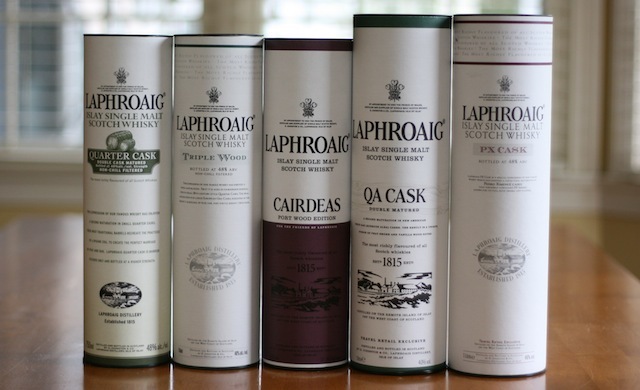 Unlike Laphroaig’s Quarter Cask and QA cask, Laphroaig’s signature smoky peat and iodine are clearly here. 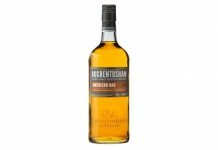 The nose is simply explosive with strong peat smoke, smoked cedar, and salt. The smoky quality in the nose reminds us more of a wood-fired BBQ than Laphroaig’s classic campfire nose. In the heart of the nose is lush dark fruit including blackberry and grape jam. The integration of aromas is superb, and the integration between Laphroaig’s smoky, savory notes and the sweet jammy fruit notes from the nose are right there on the entry. There’s a wonderful dance between the fruit and smoke in the midpalate where each takes a turn in the lead. In the midpalate the whisky is smoky, then fruity, then smoky again. This transition is delightful and downright exciting. The level of complexity here is also superb. The finish is long with both the fruit and smoke notes lingering on the palate for a long time. 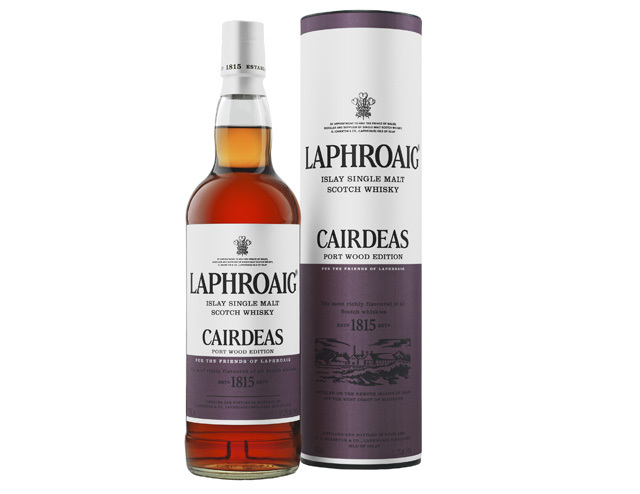 Laphroaig 2013 Cairdeas Release – Port Wood Edition feels like a much more authentic expression of Laphroaig. All the legendary elements from Laphroaig are here along with some expertly integrated fruit notes that both complement and enhance the Laphroaig whisky experience. Although the Port Wood Edition is more expensive and harder to find than the travel retail exclusives, it’s worth every penny and worth the pain of trying to find it. 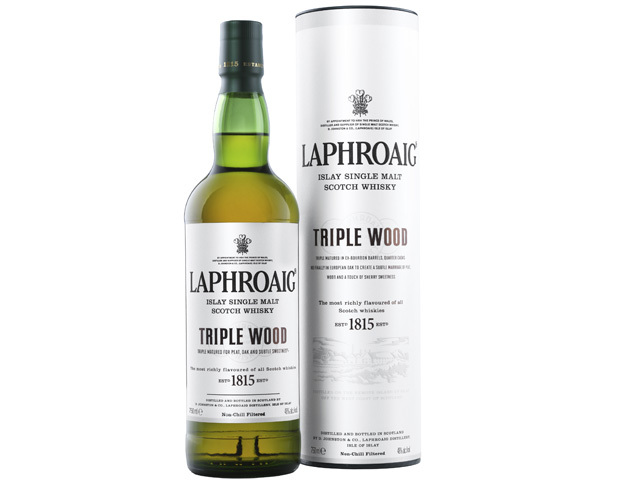 It’s really here with the Laphroaig 2013 Cairdeas Release – Port Wood Edition that Laphroaig has succeeded the most with its exploration of wood, and a prime example of a fine bottle of whisky that doesn’t carry an age statement. Assembled together, these releases from Laphroaig represent a very clear shift away from age-stated Scotch Whisky, and a massive leap toward releases that are more focused on adding wood to the equation. Yes, this does mean adding younger malt to the equation, which for some Scotch Whisky purists is going to be frustrating (hopefully that frustration will be tempered by the fact that using younger malt in wood-focused releases will free up older malts for special age statement releases). When it’s done right, like with Laphroaig’s Triple Wood, PX, or Port Wood Editions, the result can be a whisky that has good character. Ultimately, that’s what counts. No matter what age of whisky you have in your glass, it should have good character, no matter what character that is.